An author’s library should not only consist of books in her genre, but Reference Materials to help with creating stories and preparing them for submission and/or publication. The following list contains my go-to craft and research books, but is by no means a complete listing of available resources. The most widely used style sheet/guide/handbook. It covers grammar, punctuation, and other important aspects of writing craft. An easy-to-use basic guide to grammar and punctuation for students. It covers grammar, punctuation, parts of speech, and writing process. Published by Litton Educational Publishing, Inc.
An easy to use guide to grammar and punctuation for students. It covers grammar, punctuation, parts of speech, and composition. One of the most commonly used dictionaries in the publishing industry. A step-by-step guide to creating a strong foundation for fiction writing. It covers using goals, motivation, and conflict for strengthening characterization, character arcs, and plot. 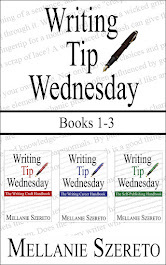 A handbook of writing craft topics, including grammar and punctuation. A guide to word origins and dates of use. This excellent resource for historical writing covers word use from the mid-12th century to the late-20th century. The classic guide to Greek and Roman gods. The Quest for the Golden Fleece, The Adventures of Odysseus, and many other mythology stories are included. Contains over 25 true tales of infamous pirates. A beginner’s guide to string theory. A guide to mounds and earthworks of the Adena, Hopewell, and Fort Ancient peoples. A pictorial guide to arms and armor from the 8th century AD to 17th century AD. A history of the rise, reign, and fall of the Knights Templar. Quite an eclectic collection, isn’t it? As with any research, verify the information with at least two reliable sources. Build a library, build knowledge, build a career.